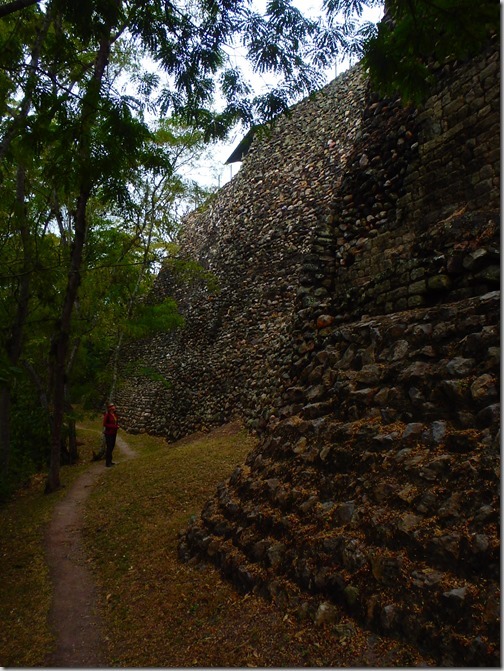 We’ve seen Mayan Ruins from the Yucatan to Honduras. 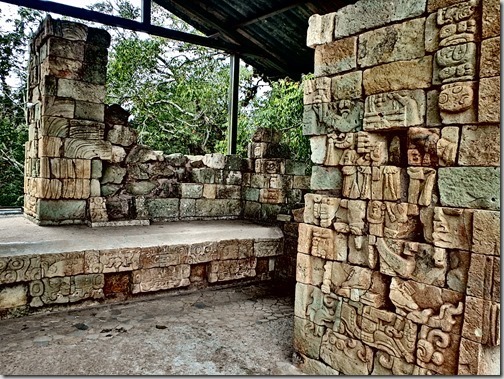 We’ve tried to be Selective and, with the exception of Chichen Itza , pick the more interesting and less traveled sites. 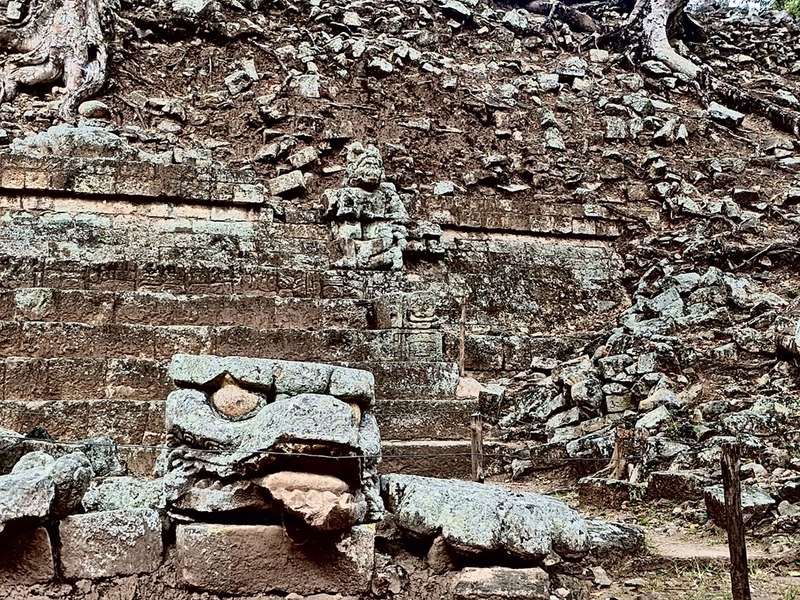 Copan is probably the last ruin we’ll see on this trip and the perfect combination of the aspects I liked about the others we visited. 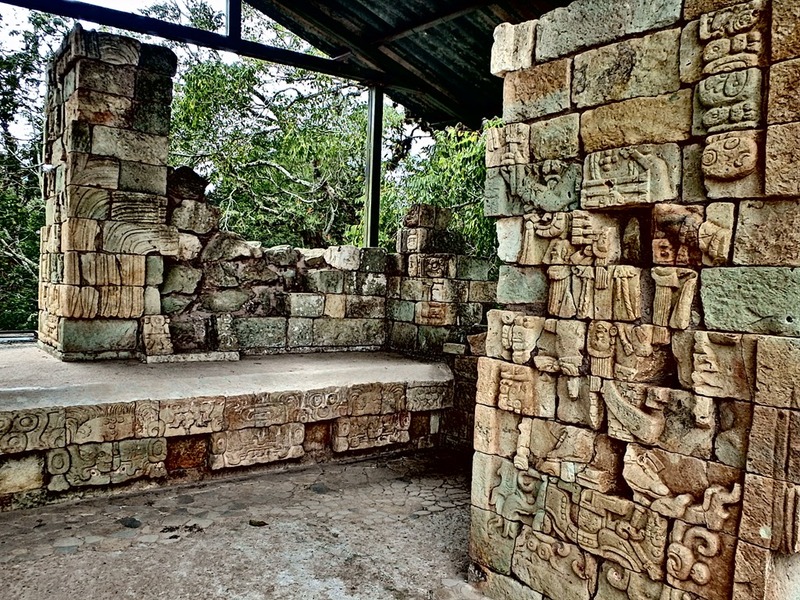 For instance, at Edzna you could go just about anywhere you wanted, but the carvings weren’t near as interesting as say Chichen Itza. 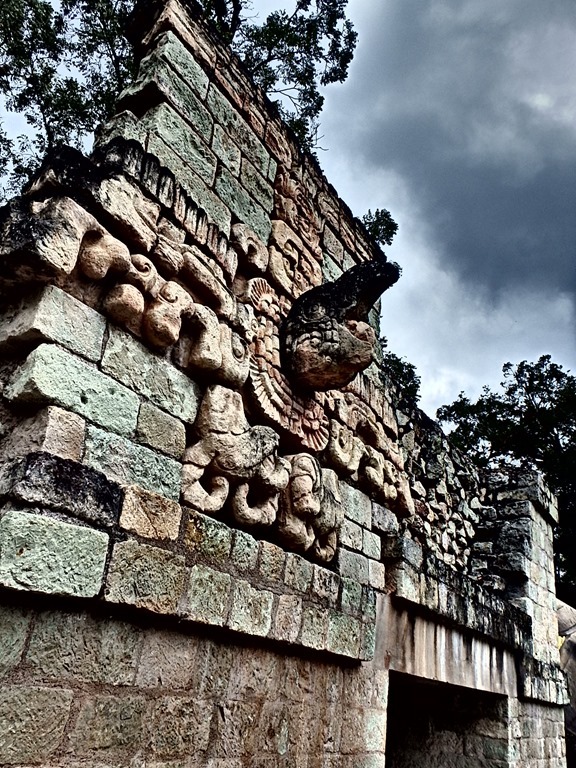 At Chichen Itza you can’t go anywhere or touch anything and feel a bit cheated over the whole experience. 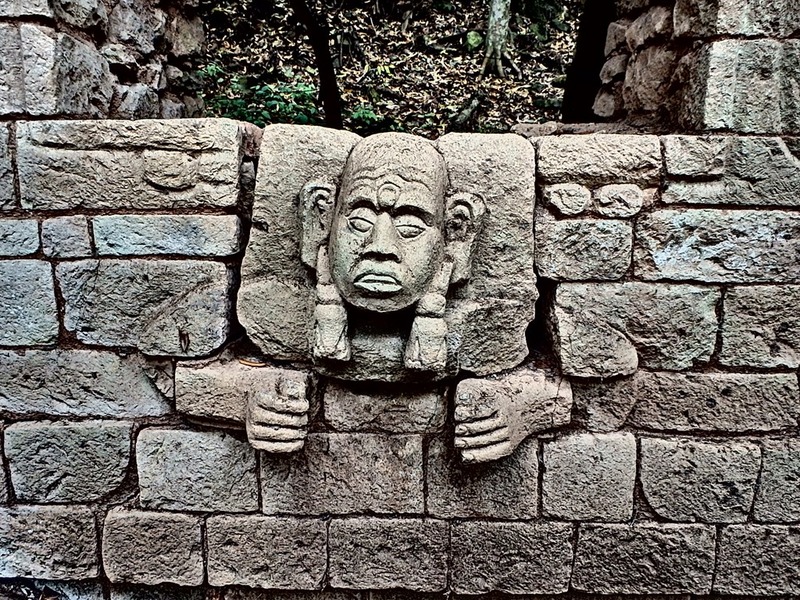 At Copan, they’ve built pathways throughout the ruins and you get an authentic experience of exploration while maintaining a sense of conservation. It’s the perfect balance. 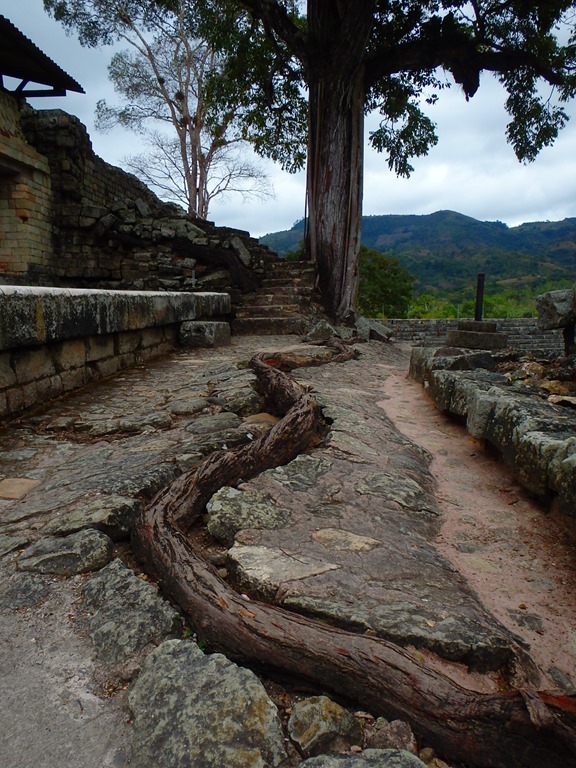 Inaccessibility is something that both Copan the town and the adjacent ruins have going for them. 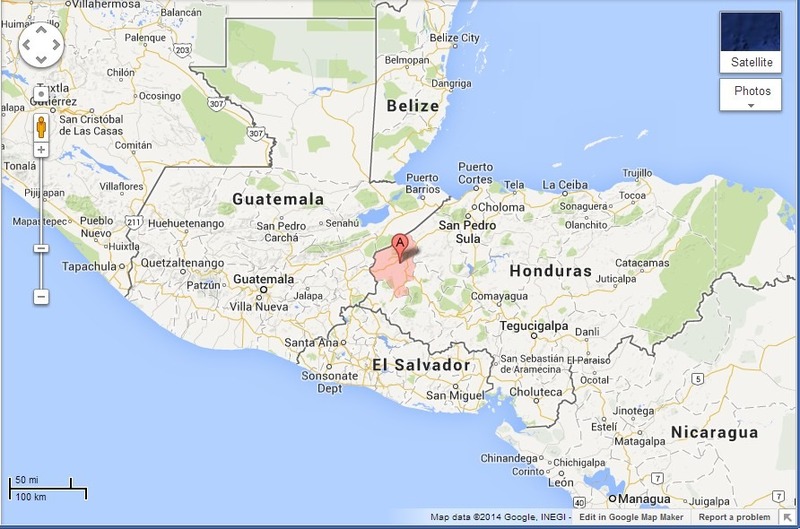 Check it out on the map. There’s not much else around. 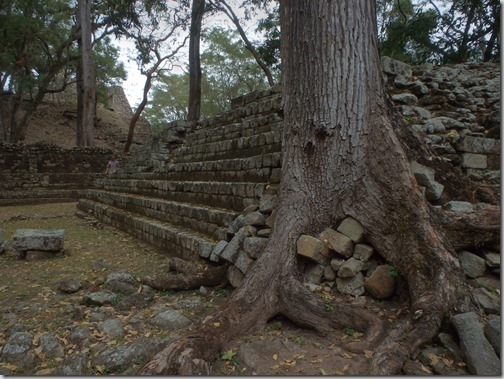 Copan itself is an oasis. It’s the best and most diverse selection of food and drink that we’ve seen since leaving the states almost three months ago. 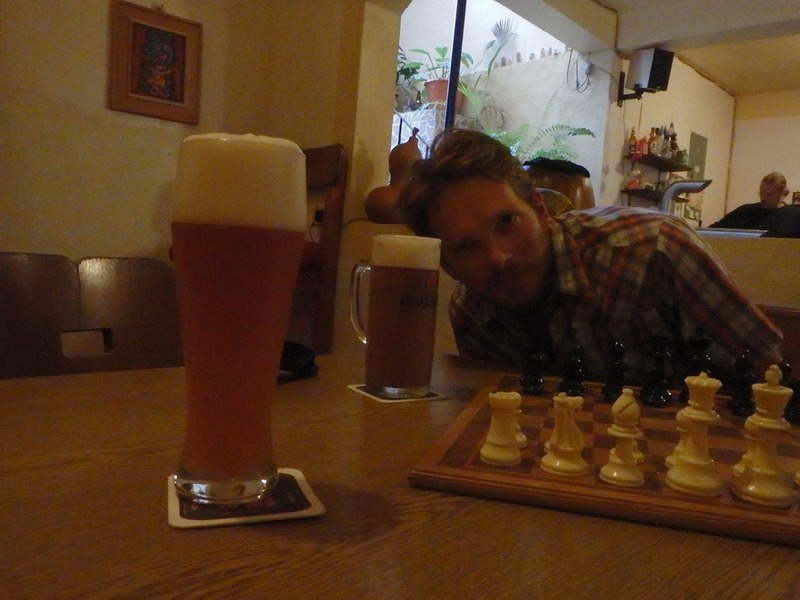 They even have a German owned and operated pub that brews its own beer in house. The one in the mug is the very first pour out of a new keg. We binged and ate everything from lasagna at Mama Mia’s to spaetzel at Sol de Copan ( the German brewery), Chicken Tikka Masala and pub spuds (Poutine) at the British Colonial House and banana pancakes at Casa de Todo . It was amazing! The coffee will give anyone back home a run for their money especially with two large Americanos tallying up a whooping $2 tab. After three months on the road, it was a much needed reunion with food and drink. 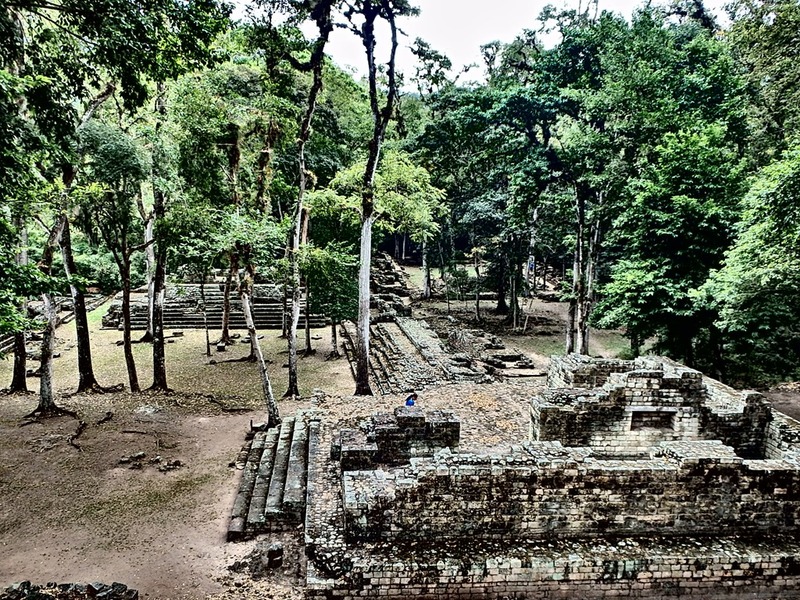 Even though Honduras itself seems to be having a bit of an identity crisis after ousting president Manuel Zelaya in 2009 , Copan appears to toil away unaffected. It’s safe to walk down the cobblestone streets at night, tourists arrive by the flock in fancy buses to visit the ruins, but it’s not a one stop shop like Chichen Itza. They come and stay a few days, maybe more. It’s out of the way. 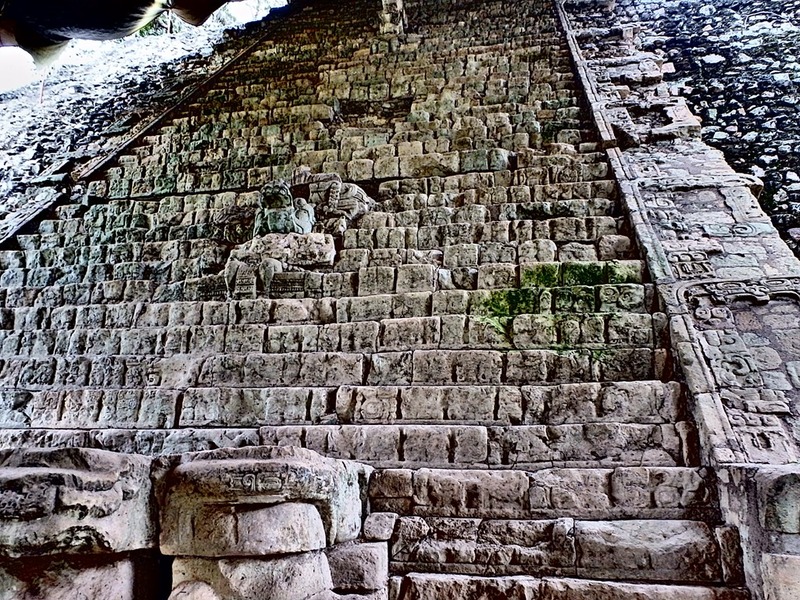 Money is being made and money is spent and Copan’s economic utopia keeps on turning. Take one stop outside of town and the story changes drastically, but we’re here to look at ruins aren’t we? Let’s do that. We can talk more about social and economic conditions in Honduras a little later. 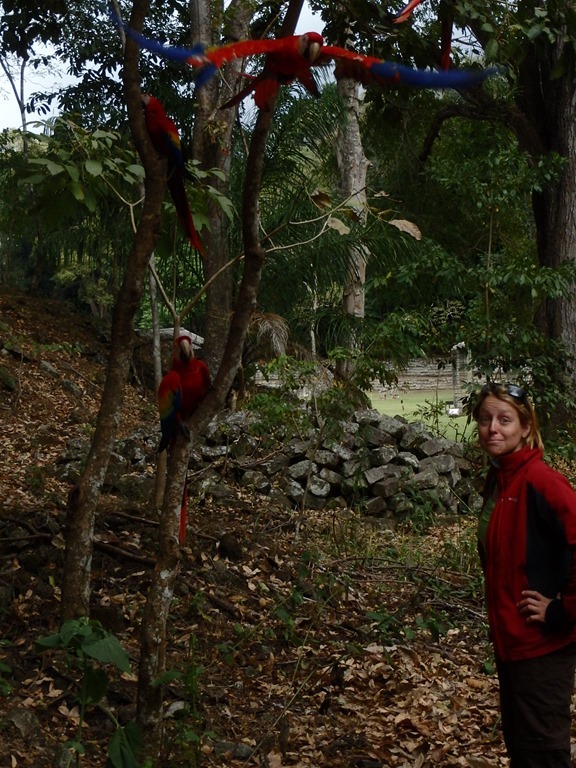 On the animal front, we’ve got macaws. 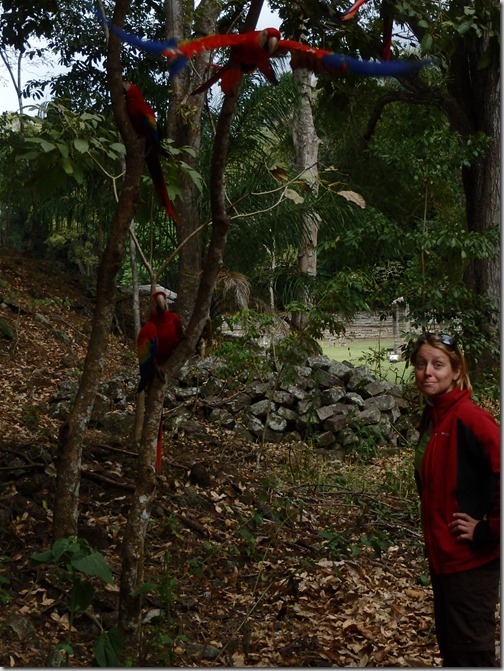 Honduras has done a lot of work with these beautiful creatures and Copan is home to their Macaw rehabilitation program. 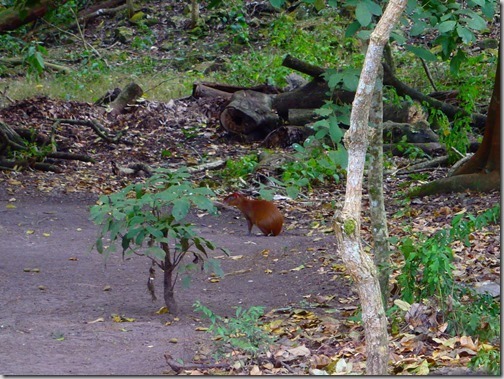 The last group of rehabilitated birds was released in September of 2013. 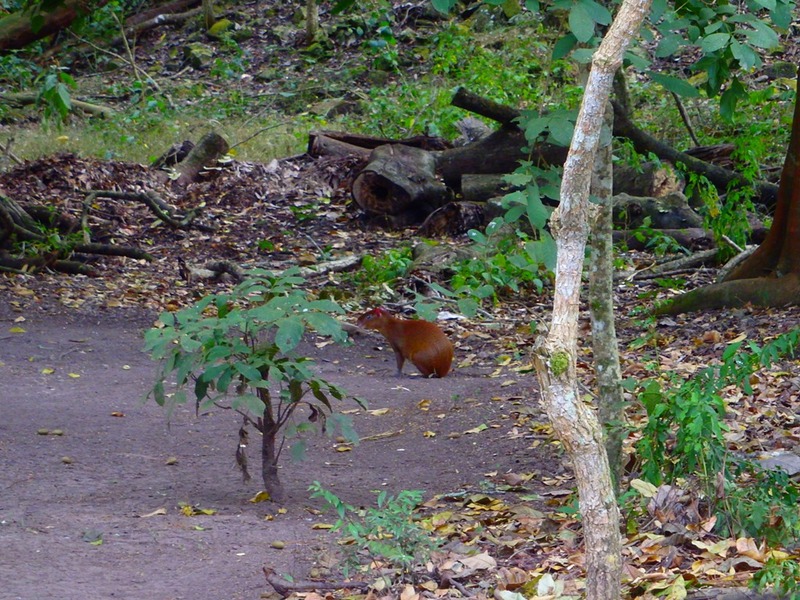 And we have ROUSs (Rodents of Unusual Size…)! Who would have known? 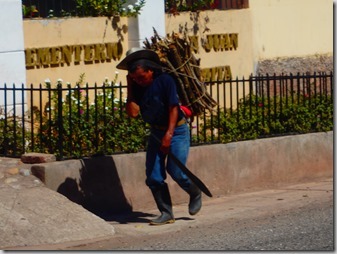 Again, many of these photos are taken in a magic mode that brings out the contrast. 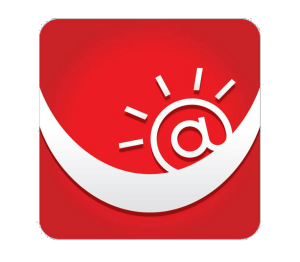 Amazing technology. 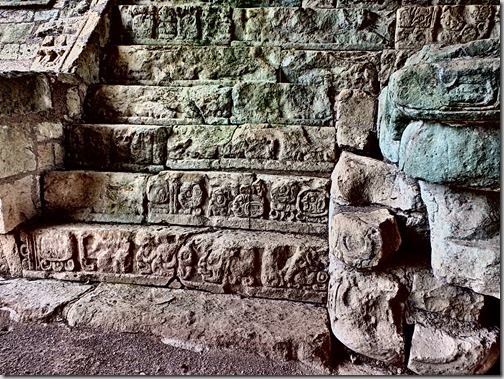 You can see details of the carving in the photos that are barely distinguishable to the naked eye. Where Keli is standing in this photo is the original bed of the Copan River. 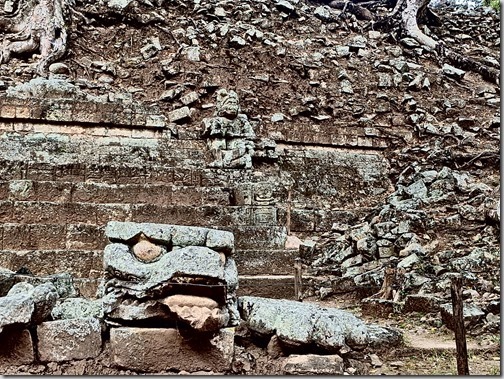 After excavation began in the 1890’s it was found that the river had undercut a large portion of the backside of the main temple. In the 1930’s the river was rerouted to preserve the temple. You can see the back side has been almost entirely reconstructed. 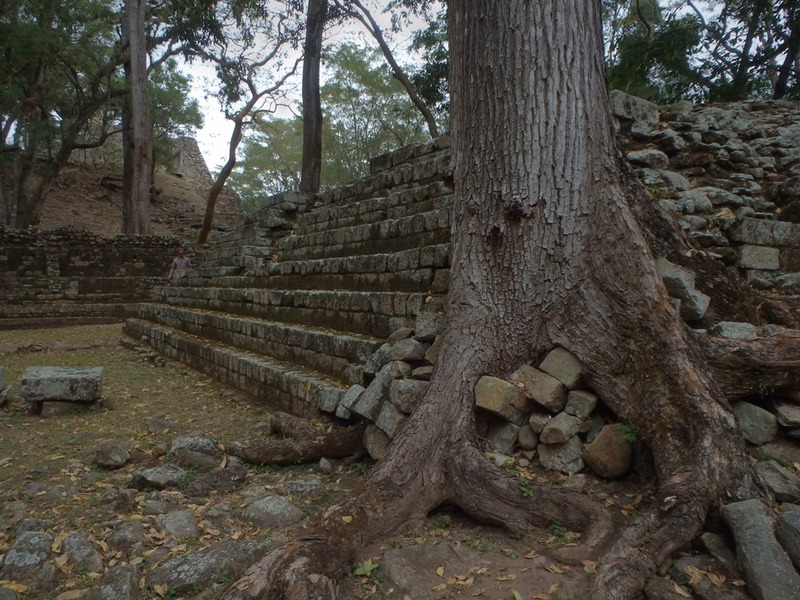 Many of the trees in/on the ruins remain at Copan. If anyone has any insight about the benefits / drawbacks to removing the trees from the ruins I’d be happy to hear them. Almost 4,000 mounds containing structural ruins remain unexplored. Keli says this guy is a wind god. I’m not going to argue. 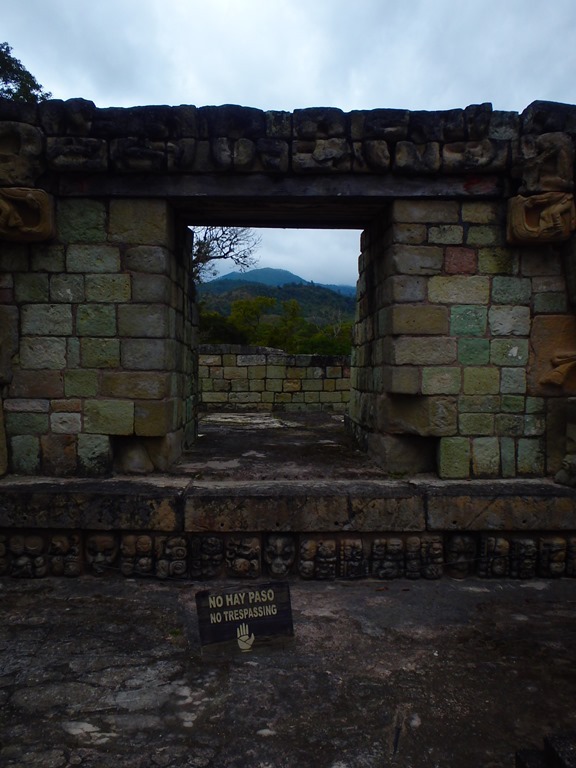 This area is referred to as the cemetery even though there is no actual cemetery here. 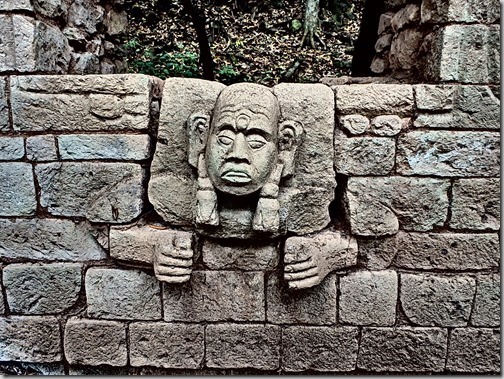 It was home to families of political and spiritual wealth. 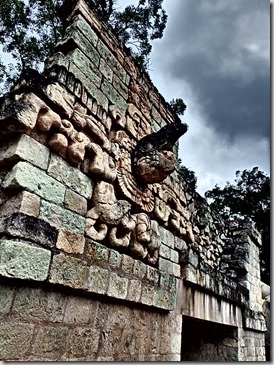 They entombed their dead within the structures and residences. 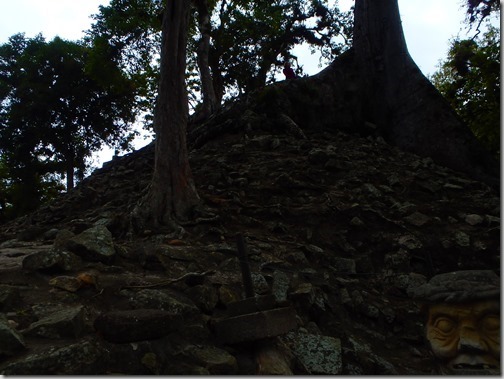 More than 100 burials were unearthed here. If you’re already on top of the temple a stay out of this area sign seems perfectly reasonable. This is one of the smaller roots we founds winding its way through the structures looking for a drink. These tree roots are the size of West Virginia tree trunks. 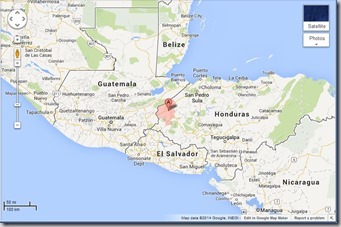 As you can see, there is more unexplored territory than explored territory. 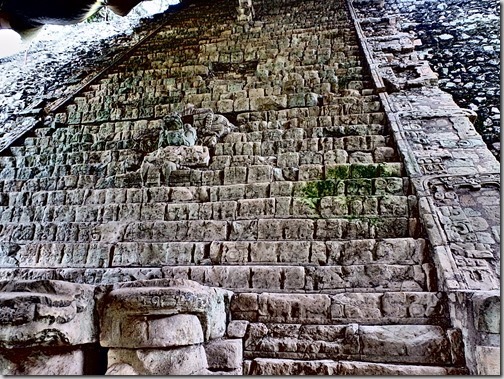 I can’t even begin to imagine what it must be like to be the first person in one of these temples after 1,200 years. What in the world is in there? 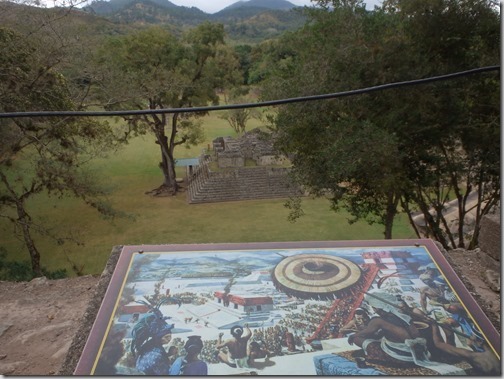 A recreation of what Copan may have looked like in its heyday. The tent was erected in the 80’s to protect the crown jewel of Copan. 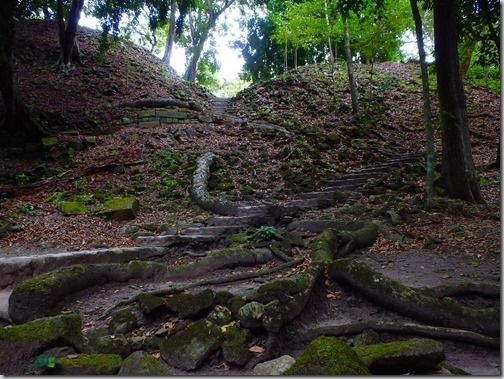 When archeological work began in the 1890’s only the lower 13 steps of the staircase were in place. 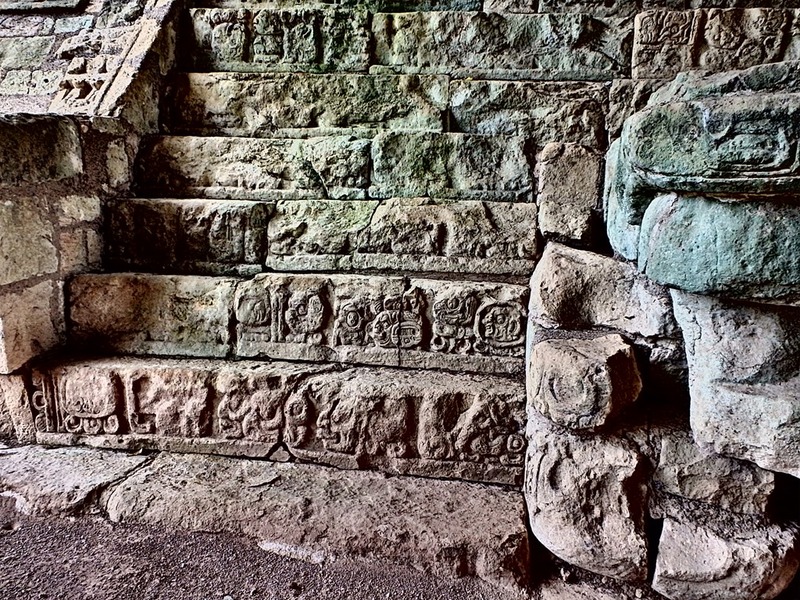 The stairs tell the history of the most recent Maya dynasty in Copan. If you’ve got some time on your hands and find yourself in Honduras, Copan is a must see. 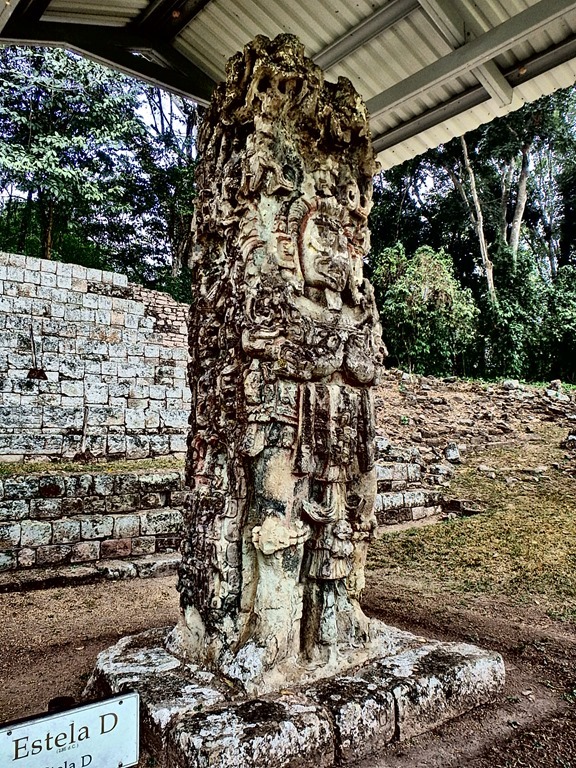 We are very thankful to the curators for their hard work in maintaining the balance that makes Copan great. BRANDON HAS WRITTEN 117 AWESOME ARTICLES FOR US.